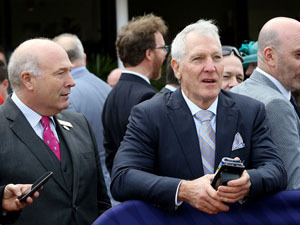 Melbourne-based businessman Rupert Legh experienced the kind of joy that most thoroughbred horse owners can only dream about at Flemington on Saturday. In the space of a golden two-hour period, Legh collected valuable black-type victories at Melbourne Racing headquarters with a pair of O’Reilly-sired gallopers in Brutal and Grunt, as the majority owner in the pair. 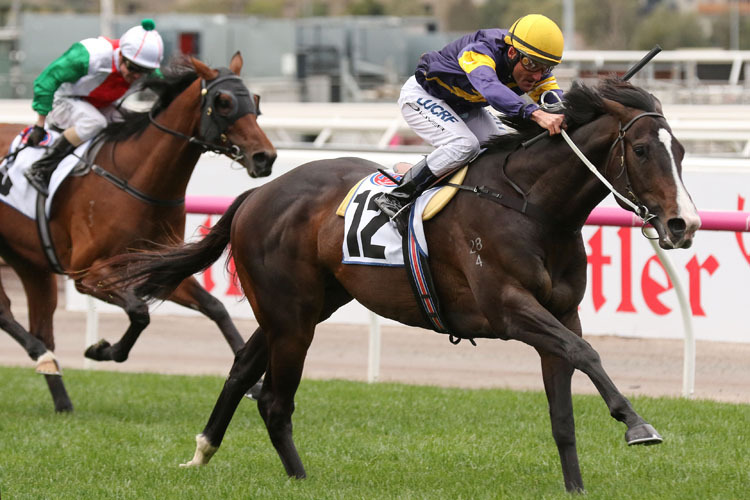 Three-year-old colt Brutal maintained his unbeaten record with a tough front-running win in the Listed Antler Luggage Plate (1400m) before classy entire Grunt added the Gr.1 Makybe Diva Stakes (1600m) to an impressive resume that already includes the Gr.1 Australian Guineas (1600m) from last season. The magnitude of the achievement was not lost on Legh who has enjoyed some phenomenal success through the years with horses of the calibre of remarkable sprinter Chautauqua. “I’ve had some special moments in racing but I can’t think of too many days like the one we had yesterday,” he said. Legh was quick to recount the twist of fate that saw him purchase Grunt following the demise of a promising colt he was racing from the Hawkes Racing stable at the time. “I lost a colt due to an adverse reaction he had to the anaesthetic during a minor operation after winning his first start,” he said. “Bloodstock agent Cameron Cooke had bought him for me and we had him insured so we used the money we got to purchase Grunt. It was a similar attraction to the progeny of former Waikato Stud-based champion sire O’Reilly, who passed away in December 2014, that saw Legh acquire exciting sprinter-miler Brutal. “John Hawkes rang me and told me he had seen an absolute cracker of a colt when he was over for the yearling sale in 2017,” he said. “He was from the last crop of O’Reilly and John rated him as the best walking colt and natural athlete in the sale. I have always had a real affinity for O’Reilly and his progeny so I said let’s see if we can get him. “I know John had inspected him quite early on in the sale and by the time he made it to the auction ring he had been out of his box over 100 times. While Legh is excited about the immediate racing prospects of both colts he does have one eye on the potentially lucrative futures for both in the breeding barn upon their retirement from the track. “You have to be excited about what heights both of these horses could go to based on what we have seen so far,” he said. “I think Grunt has the potential to be a real middle-distance star in the next eighteen months while Brutal has it all in front of him as well. “If they do deliver on that promise, then they would both seal their futures as a valuable stallion commodity. “I have had a number of approaches along those lines from studs and the like with another option being to create my own stud. “Yulong Investments have approached me about the pair becoming foundation stallions at a property they have purchased in Victoria, so that will be something I will consider very seriously.